It's solely restricted to aesthetics and not user experience. It's features first, then advantages. It's all about performance and again, not user experience. Break through these misconceptions and build your CRM to be human-centric with the right steps. How? Read on. Every powerful design idea comes as a solution to the right questions. If your brain storming sessions is not yielding results, it might be because you are asking the wrong ones. Rather than making the questions technical, bring in a touch of human centricity. For example, Instead of asking “How can I increase cross selling by 30%?”, probe how can I offer relevant products for my customers to lead fulfilled lives. Instead of “how to reduce NPAs (Non Performing Assets) by 40%”, ask “How can I make it easier for my customers to repay their debts?" Every industry has its own challenges, opportunities. Identify the ones relevant to yours and see which ones trigger your team’s creative inputs. No, we don’t mean you to send your employees to ‘muscle out’ your competitors. Rather, observe the environment and contexts in which people use your product/services. Even if it means getting out of comfy desks and cabins. On the ground research opens the doors to hidden insights that can aid you in creating human centric design. You may think your idea to be the best in the universe, but that is often not the case. Biases often cloud sound judgments. Hence, it is important to take suggestions from your team and the most important stakeholders, your customers. Many a times, taking feedback gets lost in the larger frame of things. 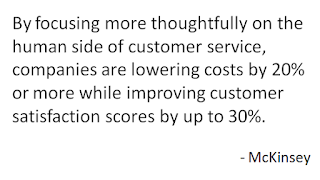 Taking inputs/reviews is not just about how great your product/service is performing. It also helps you in testing your product hypothesis, find out areas of improvement, and garner new creative ideas. For additional help, check out your competitors reviews. Which feature or functions, do their customers appreciate the most? Understanding that will help in prioritizing your features and messaging. It is expensive to rush a full product into the market and then incorporate feedback/suggestions. Instead you should develop a testing mechanism that records user reactions to your prototypes. There are online portals like Get Satisfaction; User Testing etc. which will help you quickly garner user feedback about your product/service. Taking feedback helps you to quickly make iterations, add new features and again, quickly test for defects. The testing cycle is your precaution against huge recall costs and negative press. Allow us to illustrate this point with a short case study. Before implementing CRMNEXT, one of our customers, a leading financial service provider, was notorious for its customer care. Here’s why. Online review portals were abuzz with stories about how customer care executives played ping pong between departments, hold pauses and finished calls with due billing and legal information, much better than loan sharks. And this was just one channel. Eager for a turnaround, the company, after implementing CRMNEXT, completely changed the call scripts. The new scripts gave a sense of ownership the customers with the help of questions like “How would you like your premiums to be set up?” or “How would you like your documentations to be conducted?” etc. Credit verification was run in the background and was quick due to customer 360 overview and credit agency integration. 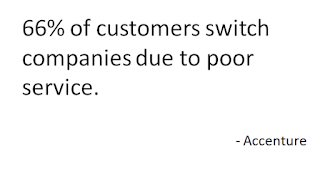 Due to these changes, the company was soon in the good books of the customers. After asking the right questions, train your agents to end interactions by offering discounts on renewals, repeat purchases, or exclusive previews to new updates. Customers love pleasant surprises. Change is good but most people are averse to change. 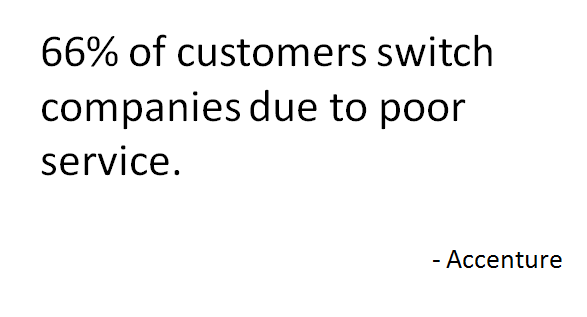 And your customers are people. They dislike it when they have to hoop through multiple agents, stating the problem again and again, to solve a single issue. Keep a consistent standard throughout your service channels. Assign a single point of contact for issues, no matter the severity. 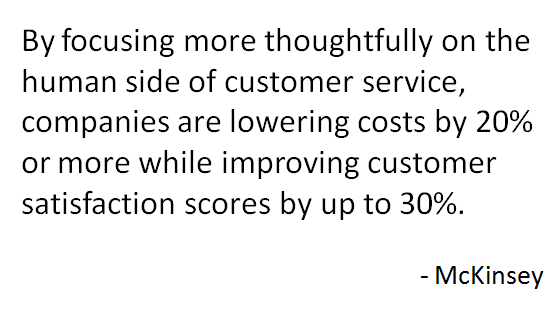 Sweet speed spot, quite a tongue twister, but an important aspect in making your CRM human-centric. In this age of instant service, making the customers wait a week for resolutions is a strict no-no. But, that doesn’t mean that they expect super fast resolutions for complicated issues as well. They are smart enough to know which issues take less or more time. Accordingly, strive to find the right time breakthroughs and identify which hot problems usually need immediate attention. This will help you find that sweet spot for efficiency and customer delights. To make your business or CRM human centric, it needs some out of the box advanced thinking. It will help if you apply the principle of extroverted design process. In the words of Dave Thomsen, VP, Product & Design of Wanderful Media, the process involves forcing yourself to articulate your ideas to someone else in words or sketches to advance your creative thinking. To put it simply, brainstorm ideas with your team, friends and even customers with the help of forums. This will give you different view angles of an idea which may reveal hidden complications or opportunities. Understand the Why, What & How of the new platform and the myriad benefits it will offer in their work life. Automate recurring processes making their work speedy and efficient. Execute new ideas, campaigns that boost their productivity and results. Analytics is vital if you want to turn your dumb big data into a smart information source. Investing time and resources in advanced analytics will help in humanizing your CRM by understanding what customers want or desire and channel choices in minute details. With its help, your CRM can intelligently evolve to spot new trends, issues and design appropriate services as response. Human Centricity is not just a theory, but a practice adopted by numerous companies like CRMNEXT, Google, Airbnb, eBay, Pinterest etc. Make your CRM human centric to ultimately drive business growth and customer engagement.